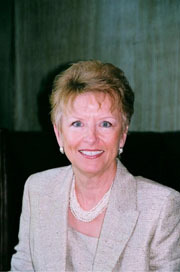 Barbara Keenan established her design business in West Hartford, Connecticut in 1982 and relocated to Charlotte, North Carolina in 1997. During her career she has worked on a wide range of residential projects throughout the Eastern United States, participated in show houses in both Connecticut and North Carolina, and served on a project advisory board for a national furniture company. Her designs have been featured in both local and national publications. Barbara is respected and admired by both her clients and professionals alike for her creativity and professionalism. After a brief telephone interview an appointment is scheduled allowing us to meet one another to discuss the scope of the project, your “wish list”, evaluation of your needs and requirements and to answer any questions you may have about our services, references, fee structure, retainer and your budget. To begin work on your project we will need your signature on the Letter of Agreement and payment of the retainer. A master plan for the project will be developed and all designs and selections will be presented for your approval. We can recommend architects and builders for projects involving construction and renovations or we will be agreeable to work with your preferred professional. It is our goal to provide you with outstanding professional service while also making the design process as enjoyable as possible for you. Member of The Better Business Bureau of Southern Piedmont.